In this webinar, you'll review the 10,000 hour rule and learn the 9 core business competencies that apply to every business organization from guest presenter, Dan Meylan. Have you evaluated your business competence? A competency takes 10,000 hours of dedicated effort to acquire. Do you know your business competence score? In this webinar, you'll review the 10,000 hour rule and learn the 9 core business competencies that apply to every business organization from guest presenter, Dan Meylan. Dan Meylan Dan serves as the National Sales Director for Allied National, a Kansas City based insurance program manager and third party administrator, that specializes in small group level funded health plans. Dan’s operational responsibility is to build a national distribution network of capable and effective employee benefits advisors to represent Allied National’s products and services. 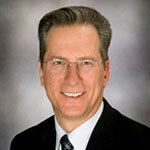 Dan has 43 years of insurance agency operations and sales leadership experience.